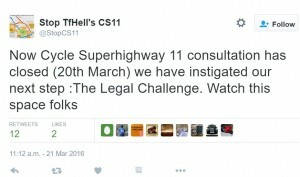 Anti CS11 Superhighway campaigners begin legal proceedings as Goldsmith branded the "anti-cycling candidate"
Campaigners against the proposed CS11 cycle superhighway have launched legal proceedings following the closure of a public consultation on the route. Building their case around ‘environmental assessment regulations’, campaigners have even pointed to the impact on disabled people in the laying down of cycling infrastructure, reports the Camden New Journal. 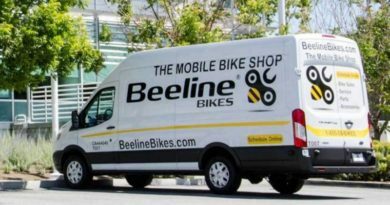 City law firm Kingsley Napier will now bring forward a case said to represent a coalition of North London business owners and residents in the nearby vicinity of the West End cycle route. The claim states TfL ” “has failed to achieve the fairness required by law and/or has been conducted in a manner that is in breach of the public sector equality duty”. Goldsmith has since been branded the anti-cycling candidate by prominent bloggers on the topic of cycling in the capital. 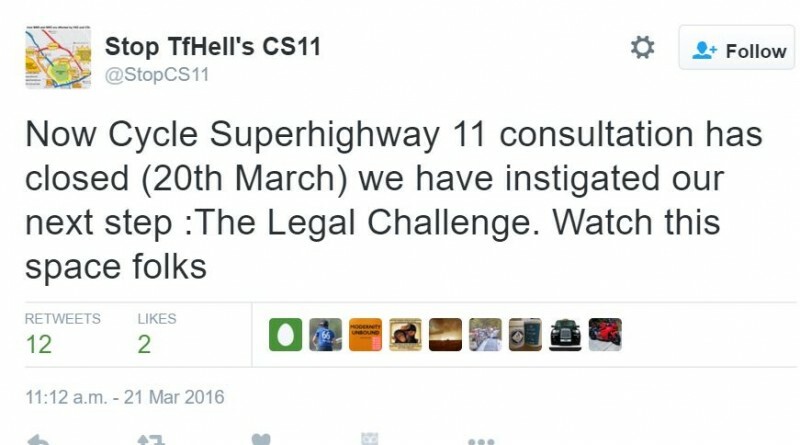 Andrew Gilligan further told Road.cc that campaigners were misrepresenting facts in their claim that CS11 will be damaging to the local area. 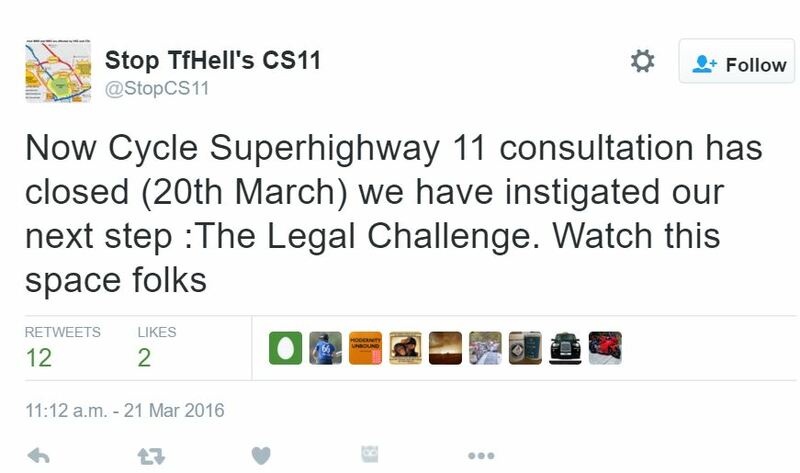 TfL is due to provide a response to the legal challenge shortly. Last time legal proceedings were brought against London’s cycle routes the judge threw out the LTDA’s case, stating the there was no case whatsoever for doing so.